Camp WA—Registration Is Now Open! 11 Apr Camp WA—Registration Is Now Open! 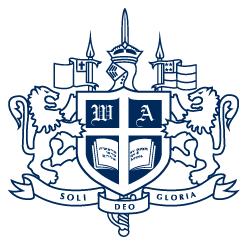 Westminster Academy has a variety of activities planned for your child this summer. We welcome back Camp WA! With a wide range of structured activities, Camp WA will be loads of fun! It’s open to children turning two before September 1 through those going into sixth grade. Camp WA provides age‐appropriate activities in a fun, safe, and secure environment at an affordable price. Above all, our dedicated staff provides a high‐quality camp experience. This year, we are offering two sessions for elementary campers and three sessions for preschool campers. Please click here to log in or create an account to register. If you have any questions regarding Camp WA, please email either our Preschool Camp Director, Kim Boros (for campers turning two by September 1 through those entering PreK 4 in the fall of 2019) or our Elementary Camp Director, Ehren Wallhoff (for campers entering kindergarten through sixth grade in the fall of 2019).